Daily Illuminator: SJ Games Is Returning To Origins! May 17, 2018: SJ Games Is Returning To Origins! Columbus, we're coming for you! 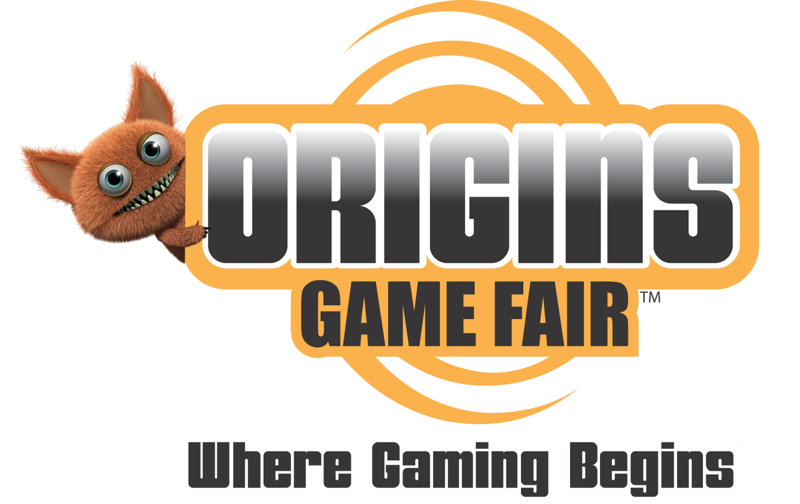 Origins Game Fair is June 13-17 and we're doing it big. I mean REALLY big! We're hosting more than 70 events at the convention, one of the biggest schedules we've ever had. We're marking our return to Origins with not just a booth, but a dedicated game room (C150) full of our newest and coolest games and upcoming projects. And Steve is coming, too, to run his own demos. We'll also be working with Adventure Retail for our convention sales - they will be at booth 935. The Desolation of Blarg, the first expansion for the Munchkin Collectible Card Game, will be available. We'll also have multiple demo tables and how-to-play events, in addition to a sanctioned Munchkin CCG Regional Tournament with a lot of cool prizes to win! 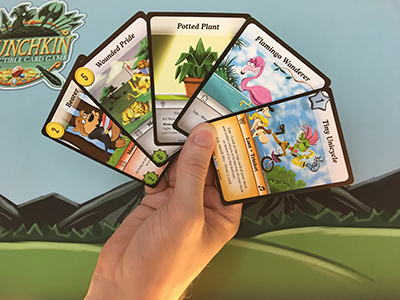 You can also attend our Munchkin CCG beginner events, a step up from our demos, but still a very casual learning environment where you can get some loot! Whether you're just starting or are a veteran, we've got the perfect events to scratch your Munchkin CCG itch. Plus, we'll have promos for demoing the game and at our plethora of events. The card machine will make a return as well, featuring some fun surprises for those willing to take a chance. Not only that, but you can use our coupon in the Origins coupon book to get a free Munchkin Jumbo D6! And we'll have lots of Munchkin promos on hand. Just come play a game with us and ask. Steve will be running his own table of demos, featuring The Fantasy Trip! He'll also be running a challenge with Ogre: playing 12 opponents simultaneously! If you want to play with Steve, make sure to sign up soon; space is limited. To register for any of the events listed above, simply follow this link and use your Origins login information . . . the sooner, the better! Be sure you stop by room C150, say hi to us, and play some games!